Miller Thomson’s Class Actions Group has successfully represented clients at all levels of court, including the Supreme Court of Canada, and all levels of Provincial and Federal Court. Given the firm’s 12 office network and wide geographic reach, clients also benefit from our substantial experience in identifying and advising them with respect to jurisdictional issues which arise in the context of class proceedings. Clients also benefit from a nationally integrated and collaborative approach to defending and settling multi-jurisdictional or national class actions. Our lawyers have settled or litigated several class actions in industries as diverse as household appliances, gas retailing, chemicals, vitamins, pharmaceutical, consumer loans, paper products and cigarettes. We also have expertise in dealing with equipment malfunctions, design and construction, and many other industrial and consumer products. 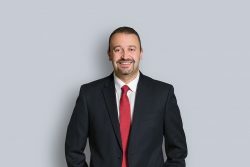 Leon Farma (Pharmaceutical) – Defending and settling a multi-jurisdictional national class action undertaken in several provinces across Canada. Consumer Protection – Defending several multi-billion dollar class actions for various alleged violations of consumer protection laws by product manufacturers. Lac Mégantic derailment & ensuing class action – Defending a tank-car owner and lessor in a billion dollar class action filed by victims of the 2013 Lac Mégantic derailment. BHS (Tassimo coffee machines) – Advice and legal representation defending and settling a multi-billion class action for $35,000. Sandoz Canada (pharmaceutical) – Dismissal of class action for negligent design and failure to warn. Only the 7th class action trial in the 20-year history of class actions in British Columbia. Player v. Janssen-Ortho Inc., 2014 BCSC 1122. The Town of Walkerton – Advice and legal representation on a number of legal issues, including a high-profile Public Inquiry; defending and settling a $2 billion tainted water class action. Gas industry – Currently defending class actions in Québec in price fixing cases. Gypsum industry – Currently defending multi-jurisdictional price-fixing cross-border class actions in several jurisdictions. Electronics industry – Currently defending multi-jurisdictional price-fixing cross-border class actions in several jurisdiction. Financial Services industry – Defended investment dealer in a significant number of class actions both in Canada and the US. In many such actions, we were responsible for retaining US counsel in the many jurisdictions in which they were brought. One major piece of litigation, the Asset Backed Commercial Paper (ABCP) case, did not proceed as a class action, instead leading to what remains the largest and by far the most complex restructuring in Canada’s history.